When making a dish, it’s a good idea to make extra so you’ll have leftovers the next day. This will make it easier to eat healthy meals, as preparation is key. The salad dressing that I posted in the last blog makes enough to last for a few weeks. 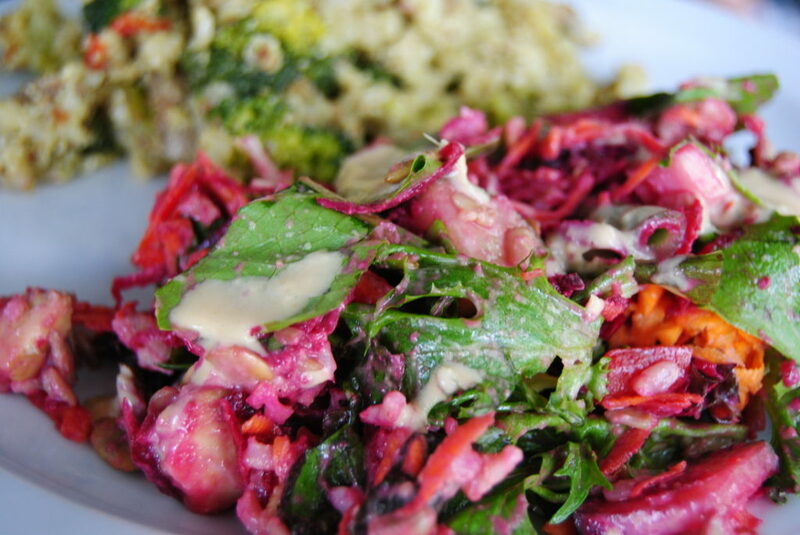 I mixed it with a simple salad – mixed greens, avocado, carrots, beets and sunflower seeds. It was easy to make but very tasty and refreshing! Mix salad with 3-6 tbsp of dressing. Enjoy!